The Master of Applied Sport Science, offered by Deakin University, is a comprehensive course designed for those seeking careers as sport scientists in a variety of professional and semi-professional sporting settings. Throughout this course, you’ll learn how to implement and evaluate initiatives designed to enhance the performance of elite athletes; critically evaluate and contribute to current research in sport science; solve complex and authentic problems; and more. By the time you graduate, you’ll have developed an advanced and integrated knowledge base and understanding of sport science. This course is delivered entirely online through Deakin’s Cloud Campus. It consists of 12 core units with topics ranging from sport performance analysis through to the scientific process for sport scientists. Completion of a three year bachelor degree in Exercise and Sport Science or equivalent from an approved university or other educational institution. 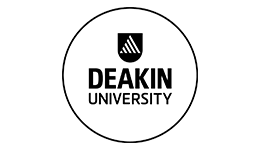 Upon successful completion of this course you will receive a Master of Applied Sport Science from Deakin University. Graduates are prepared to pursue senior sport scientist positions in professional and semi-professional sport and at various institutes of sport, or to transition into a sport science research environment.